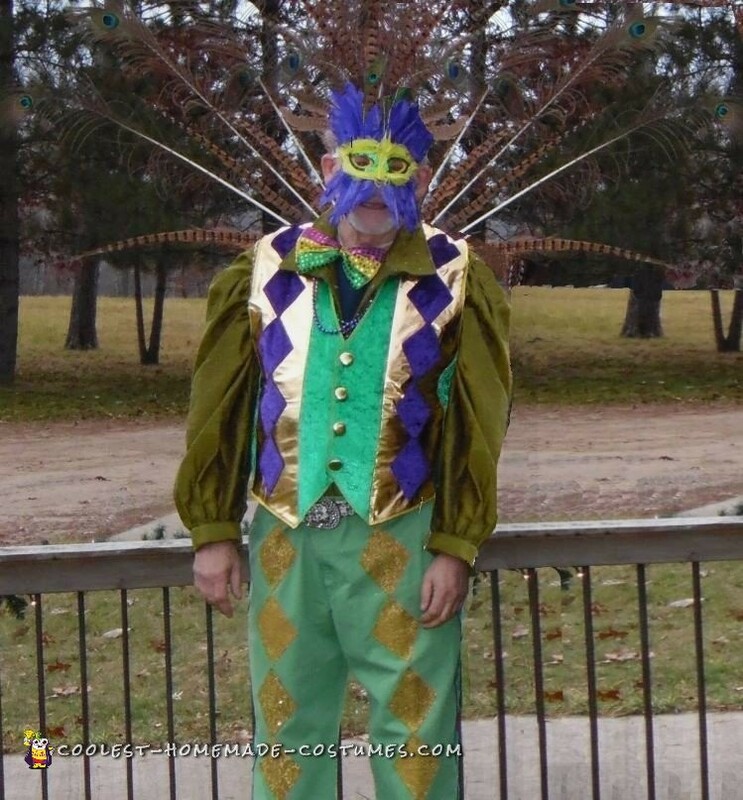 Having always been inspired by the costumes at Mardi Gras, I decided to try my hand at making my own costume. I was pleasantly surprised at how easy it was! Just a little hot glue, some glitter and a few feathers! 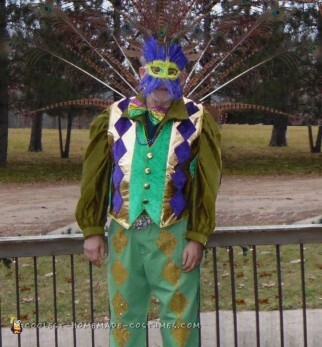 I used the color scheme from Mardi Gras and incorporated it into my favorite bird…the peacock! Spent most of my time making the mask and the back piece and used old pants and shirt which I added the triangles of fabric to. Fun to watch heads turn as I drove to the restaurant that night! Entered costume contest at local restaurant and was surprised to win a $100 gift certificate! Sorry to say I did have to photoshop out the person standing next to me as they did not want their picture published and it was the only pix I had! Can’t wait to start next costume (Autumn Sun God) for 2016!